Splatoon 2 is more than a year old now and speaking to Famitsu interviewers on their first birthday, Splatoon 2 developers were more than happy to share a few things about the game. One thing interesting about Splatoon 2 is that percentage of Rank X players in the active player base is less than that of the original Splatoon’s S+ Population percentage. 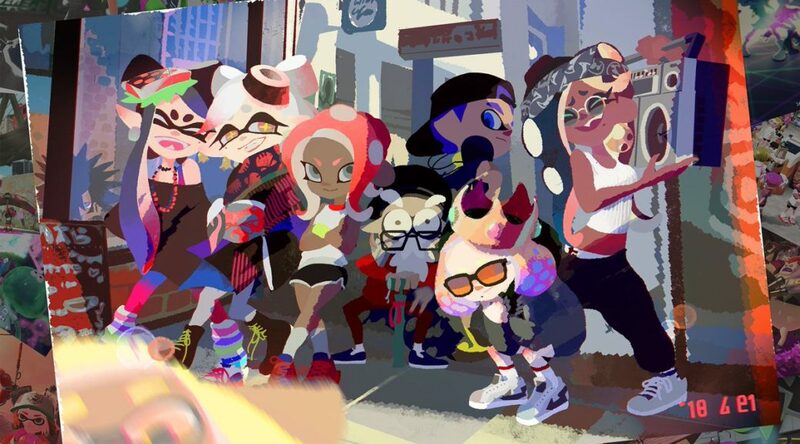 Although due to Splatoon 2’s enormous size, it is likely that in absolute terms, there may be more Splatoon 2 Rank X players than the original Splatoon’s S+ players. The amount of active players in Rank X is a bit more than the initial players who were S+ 10 and above. Though this number is stabilized as Rank X power is reset every month and people with low power ratings get demoted. They explain the reason for why more people are in rank X is because more S+’s are trying to aim for it. The amount of people in Rank X is around the same for each mode except Clam Blitz with the lowest percentage, probably as it was introduced later in the game. Another thing interesting is that the developers actually still have things they wish to implement in Salmon Run and hopes players will be patient as they get to work. Of course, the interview does cover a lot more than these two topics, in fact, it even goes into Octo-Expansion spoiler territory. If you’re interested, you can definitely head here to check out the translated contents of the Famitsu interview.